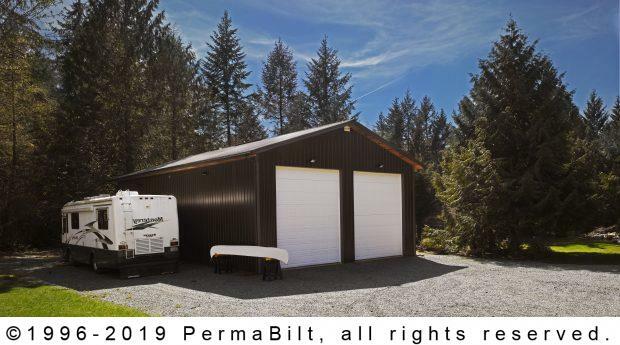 This customer in Port Orchard Washington called us looking for a boat and RV storage building to house their 30’ RV and their 20’ jet boat, while also providing additional storage to house lawn and garden machinery and tools. We met with and spoke with this customer numerous times over the course of 6 years. 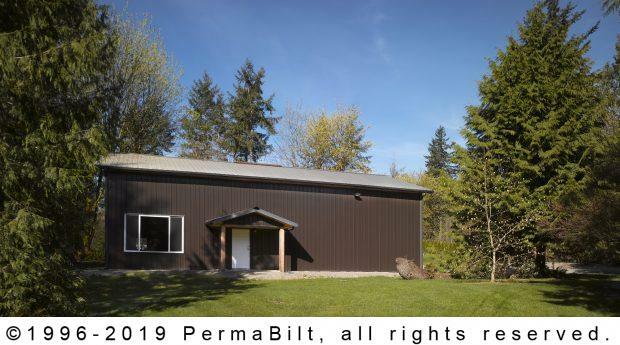 When the storage building design was finalized and the timing was right for the customer we wrote up the contract documents and forged ahead with getting financing approved, then permitting, then constructing their new boat and RV storage building. 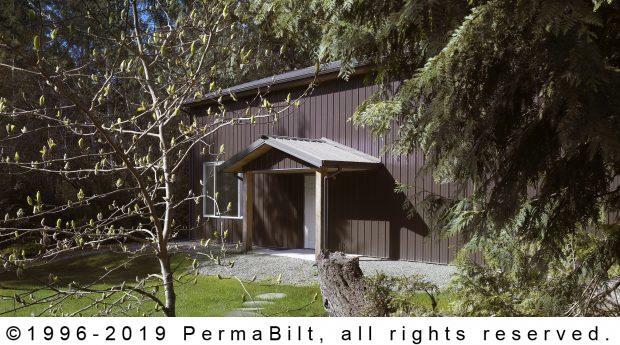 The customer and the Building Representative worked together to design a the boat and RV storage building that met the criteria for shade and shelter while also complementing their primary residence and adding features to make it both functional and attractive. They chose a 16’ tall RV storage building design with 14’ garage doors to ensure that all their large RV and jet boat would fit without issue. They also added overhangs to the building along with enclosed cedar soffits to match their home. The other feature they added was a 10’x5’ porch cover with enclosed cedar soffits, a uniform look throughout -as shown in the photos. 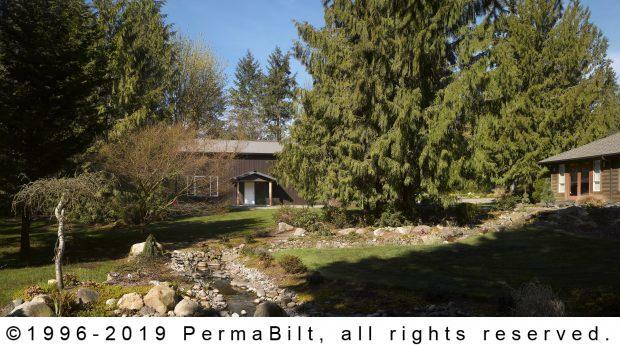 PermaBilt offers unmatched quality, superior building engineering, attention to detail and speed of constructions, so he knew he would own the boat and RV storage building that would be the envy of his entire neighborhood and the talk of the town. Our professional garage builders helped him with the RV storage building design, permitting and financing making the whole process smooth. In the end, the customer had protection for his valuable jet boat and RV storage, increased extra storage space for his lawn equipment as well as a beautiful addition to his property.